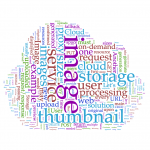 A solution of how to provide on-demand thumbnails of any size, based on user uploaded images, stored on Google Cloud Storage with Nginx and a Java restful web service. Cache generated thumbnails and make them disposable keeping only originals. Save storage space by deleting old or all thumbnails.